✅ Trip Verified | Johannesburg to Mumbai via Mahe. The staff in flight and at the airport must be the most unfriendliest you'll meet. For the entire flight of passengers there's 2 people at 1 counter doing the check in. Takes 45 mins. For a flight half full. The guy at the luggage scan asked us to make it quick as the flight is leaving as if it was our fault theres only 1 counter receiving check ins. There is no time in transit, you're shipped from 1 flight to the other. There is no place to smoke. But was advised by a guy that smoking in the toilet isn't permitted but allowed. It's the smallest airport I've been to with barely any facilities. Taking all this into consideration I see no reason why they should have an attitude. Flights itself are clean but outdated in entertainment. If you not fussy this is a cheap alternative. If you need to travel in some comfort pay more. ✅ Trip Verified | Abu Dhabi to Mahe. Worst service we have ever encountered. We booked a vegan meal by email and received confirmation for both flights (return). 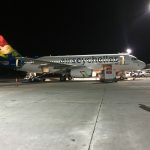 On the first flight we were told that they had no food for us, as in they never received any food that is meant to be for us in the first place. On the second trip back, we double checked with check in staff about our meals and they said there was nothing mentioned next to our names on the system! we then asked them to add it again and they did while we were standing. Again on the plane we were told our names were not on the list to begin with so no food for us one more time. Food aside, we were moved to from an 8pm flight to 10pm flight without prior notice. Also, we knew other groups that were boarding the same flight as us by they were not shifted but they kept them on their same flight. Initially we were told it was due to system error and all 8pm passengers were shifted to 10 pm but if that was the case then how come we were the ONLY ones shifted?? Will never ever fly again. Also, many people in the airport were complaining about having their flights being shifted TWICE! Avoid this service. ✅ Trip Verified | Johannesburg to Mahe. 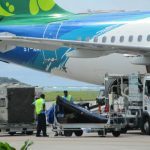 I have never received such disgusting service as with Air Seychelles. 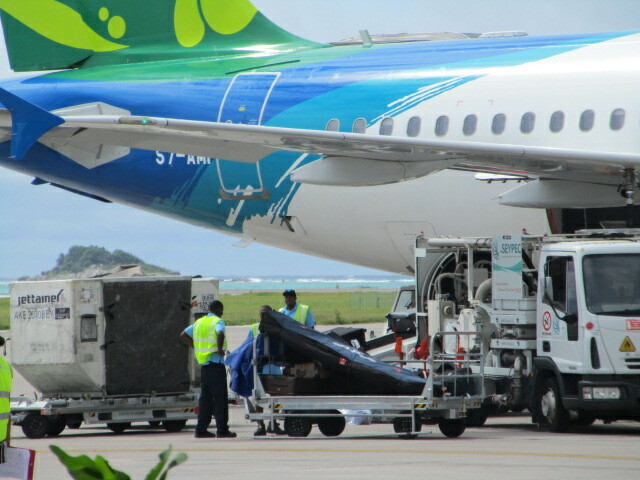 My luggage never arrived from Johannesburg and I had to deal with a rude lady in Mahe who told me my bag would be on the flight the following evening and sent to La Digue. They gave me a number to follow up on that when finally someone did answer they just said they don't know where my luggage is and put the phone down on me. They put the phone down on my mother as well. Surprise my luggage never arrived. ✅ Trip Verified | Johannesburg to Mumbai via Seychelles. Terrible airline to fly with. They will try to scam money out of you any way they can. Staff are extremely rude and unhelpful. Do yourself a favor and pay a little bit more to go with a reputable airline. ✅ Trip Verified | Johannesburg to Seychelles. On the 4.5 hour flight the cabin flight attendants made only one trolley run with food and drinks, and that only after two hours in the air. By contrast, Air Namibia on a 1.5 hour flight do a drinks run, a food run and still a coffee tea run afterwards during the flight. Kenya Airways on a 4 hour run from Johannesburg do several drink runs in addition to the food run during that time. 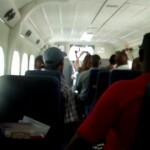 Air Seychelles cabin staff are not friendly and do not really care about the passengers. Its the worst service I have ever had on a flight. ✅ Verified Review | Johannesburg to Mumbai via Mahe, connecting to Hyderabad with Jet Airways. Flight was delayed in Mahe Airport for 4 hours then we missed connecting flight in Mumbai and we waited more then 5 hours in Mumbai Airport as they booked flights. There was no one to help us, it was bad customer service. Passengers were struggling to get the tickets for connecting flights. They made us to stood at counter for more then 2 hours, tickets had to be booked before we reach Mumbai Airport but they booked later we reached in Mumbai airport. Accommodation must be provided if there is a delay for more then 4 hours, but they didn't provide anything and didn't respond well in Mumbai Airport. 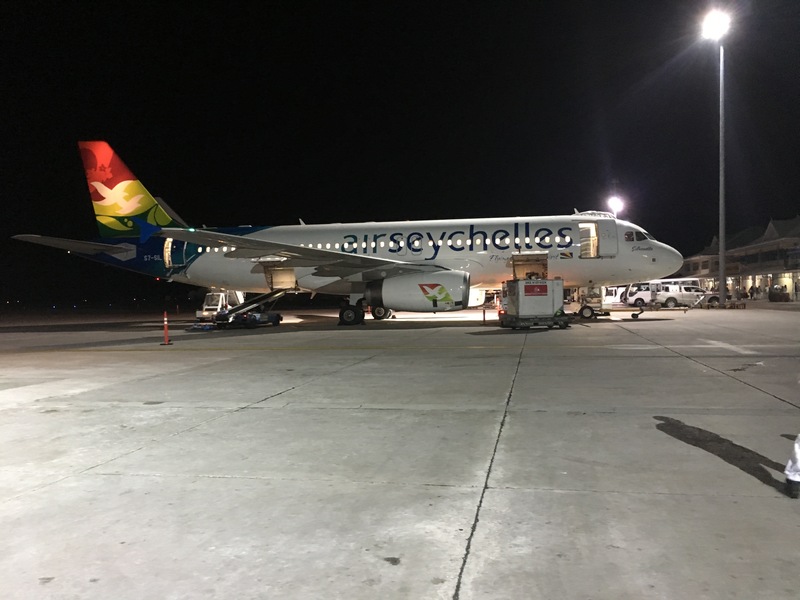 ✅ Verified Review | Me and my husband had a horrible experience flying Air Seychelles from Mauritius to Mumbai via Mahe. Particularly poor was the flight from Mahe to Mumbai. At Mahe airport when we asked for a seat selection, we were rudely turned down. We could see other people standing behind us get the front seats. This was unfair and uncalled for. To top it off on the 4.5 hour flight from Mahe to Mumbai we were not even given blankets. When we asked about the blankets, the cabin crew told us that they had limited supply. Complaints to management fell on deaf years. All they offered were 5000 measly miles which could be cashed in on our next flight with Air Seychelles. Avoid if you can. ✅ Verified Review | Seychelles to Mumbai. The worst flight I've had. After a 3.5 hr delay, they refused to provide any assistance and staff was too confused to help us at Mumbai. Would recommend taking some other airline rather than wasting your money on this one. "experienced such a bad service"
✅ Verified Review | Antananarivo to Abu Dhabi via Mahe. I have never experienced such a bad service! Lots of delays,mechanical problems with aircraft. No clear communication what was happening with the engine problems and updates so very stressy for all passengers to make connections. Very outdated aircraft. Problems with boarding pass issuing for many passengers while transiting in Seychelles! Frustrating with inadequate ground staff follow up! Halfway the food service some meals where already out of stock. Super rude check in at Antananarivo Airport. I have a silver frequent flyer card from Etihad which is their partner and normally my allowance was 40 kg. I arrived with a surfboard back and had to take out 8 kg as they said they only allow 32kg. My other bag was already checked in so i had to take it all as carry on.There where laughing and showed no mercy at check in-no humanity. I can't understand why a world class airline like Etihad teams up with them. 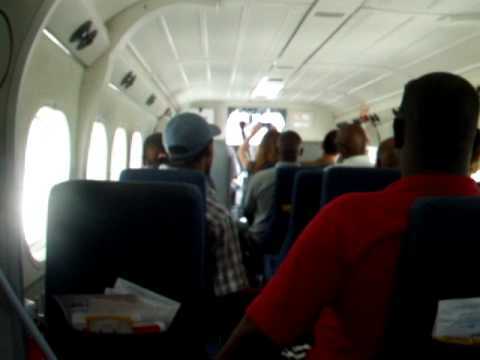 This is island style aviation at its worst! Will take my business somewhere else.